Featuring a leather body and stunning writing performance. Engineered to impress these rollerball pens feature an elegant leather body with chrome trim and lid. The come presented in a smart black gift box and look stunning with a print or laser engraving. 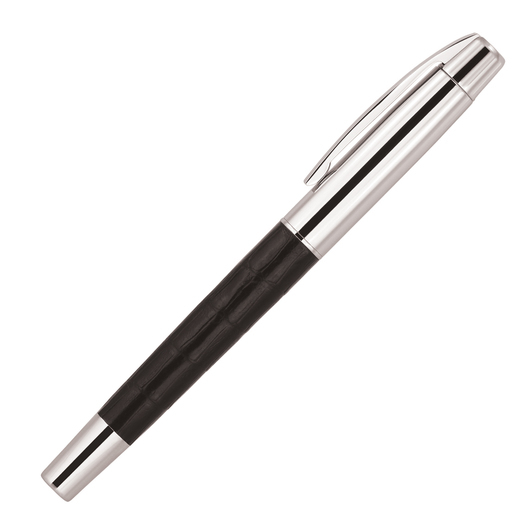 Featuring a Schmidt German made ceramic refill these pens glide across the page with grace and precision. 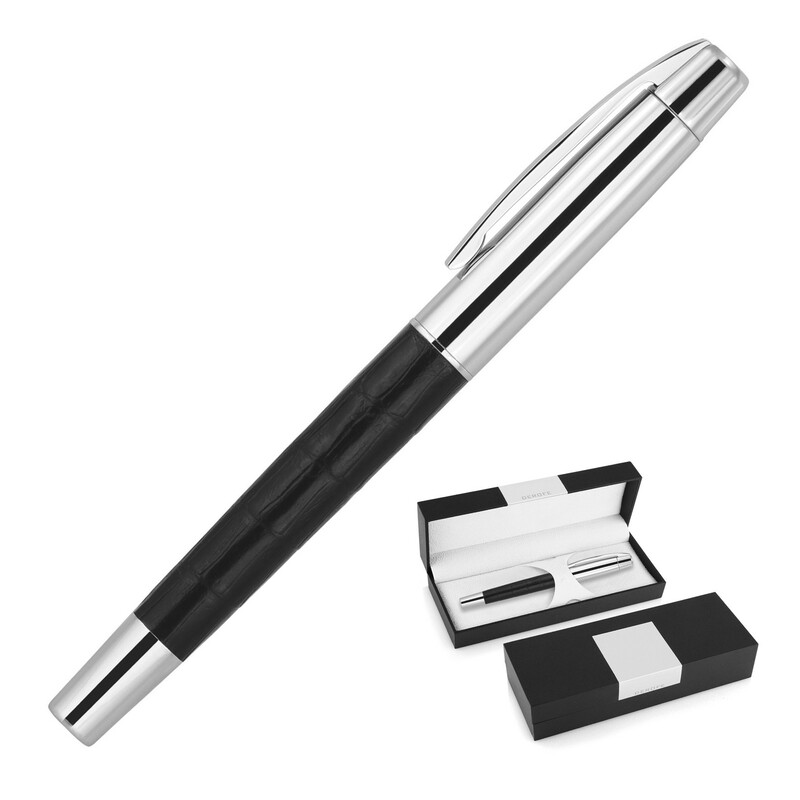 A memorable pen gift.